Recently, I read an article in The Rheumatologist (preceding a new PR campaign by the American College of Rheumatology), “An Identity Crisis for RA: A few suggestions to bring rheumatic disease the recognition and respect it deserves.” I strongly recommend that you read the article since I cannot quote it entirely here. It was written by a rheumatologist, but you’ll see many points that seem very familiar. I used their contact link to send in the following Letter to the Editor. I had contacted Dr. Adams to thank him for the article and he suggested I write a Letter to the Editor. Hopefully, they’ll publish my letter. 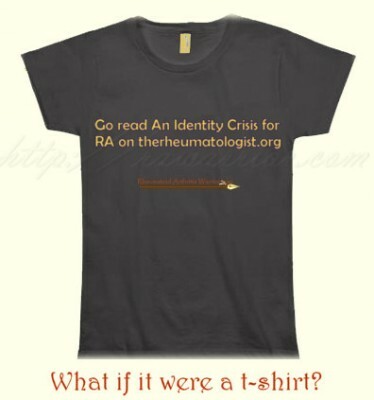 Thank you for the article “An Identity Crisis for RA; A few suggestions to bring rheumatic disease the recognition and respect it deserves” by R. Franklin Adams, MD (August 2011). I’d like to quote the article to underscore the parts I liked best, but I’d quote almost the entire piece. If only the whole article could be condensed onto a t-shirt! Over the last three years, I’ve written about 600 articles about RA, published on my website and other sites. I’ve read hundreds of news stories, academic articles, and patient blogs. Meanwhile, I’ve received at least 100,000 responses directly from RA patients and lived full-time with the disease myself. What have I discovered? I made very similar statements to ACR Research Education Foundation’s Steve Echard at last year’s annual Scientific Meeting in Atlanta. As I read Dr. Adams’ article, I heard my own words echoed. It seemed like he had read the articles which I’ve written about RA, even this very old one on HCP Live. In reality, Dr. Adams and I had no contact before I called him last week. Astonishingly, by way of different roads, we have come to the same conclusions: RA is a serious disease that is misunderstood by most people, including many professional people and medical personnel. According to Mayo Clinic research, the lifetime risk of developing RA is 3.6% for women and 1.7% for men. For the sake of RA patients and everyone in society (potential RA patients and their loved ones), change must come now. 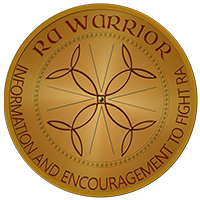 Adams mentions key strategies that have also been advocated by patients through the RA Warrior community, especially RA nomenclature issues. 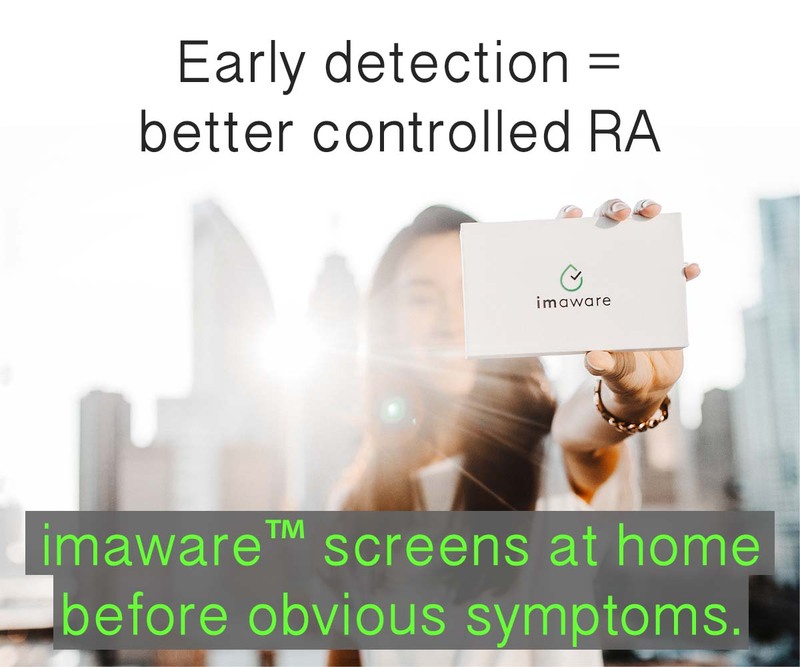 I believe the most successful approach will be one that allows patients, researchers, and doctors to combine efforts to attack the problem of RA on every level (both its identity and its cure). The first non-profit organization for RA was founded earlier this year, the Rheumatoid Patient Foundation (RPF), dedicated to this purpose. With greater public awareness will come appropriate recognition, research funds, and programs to improve the lives of people with RA. If there is anything that could be more encouraging to me as a friend and advocate of RA patients than to read this article written by a rheumatologist, it is the response of Dr. Adams to the RPF. He indicated that the work of the RPF is welcome and long overdue in the rheumatology nation. Will you also stand with us? Within a few days as our website is opened, everyone interested in improving the lives of RA patients is welcome to become a member. I hope that many physicians will lend support so that together we can create the groundswell of change that will help us to defeat the monster that we call RA. Is It Time for Rheumatoid Arthritis Awareness? ← Do Doctors Need to Love Patients? Kelly, this is (no surprise) brilliant. Your level of comprehension of the challenges of social change is superb. You’re not just a sharp observer and powerful writer, you see deep, below the surface, into the structural obstacles that keep the status quo in place. As I think you know, my career was in marketing, with some experience in branding and adoption of new concepts. That side of me went “ding ding ding ding!” when I read “Rheumatoid Autoimmune Disease,” because then the discussion changes from “RA” to “RAD” – a far easier change for people to make than from RA to RD. Do it!! excellent article Kelly! many thanks for your important work. you are the Shizzle! Kelly ~ I hope Dr. Adams is going to feel the collective hug coming from all of us. I’m sitting here with tears on my cheeks still. I was so moved and so appreciative of his understanding. Your response was brilliant as always. I tweeted Dr. Adams article and posted it on Facebook. Hopefully some friends and family will read it and begin to comprehend this terrible disease. And if that happens there will be more tears ~ happy ones! Thank you, Kelly, once again for weaving your words so eloquently that many of us with RAD want to say and need to hear. I am one of the fortunate with an awesome doc and support team. It’s RAD warriors like yourself and others that fight for us all to bring about change in how the world views the disease. It’s vital we pursue more funding for research for treatment and in finding a cure. That won’t happen until the public understands that it’s not just arthritis that can be cured with supplements and exercise. As usual an awesome job. Kelly. Love the name change idea too. Slowly but surely we can all see a glimmer of hope at the end of this dark tunnel. Thanks so much for all you do to bring awareness, hope and much needed change for those suffering with Rheumatoid Autoimmune Disease. Blessings. Kelly This is so exciting to hear! Maybe now all of our voices will be heard and you will see the fruit of your labor! Keep us posted! Thanks as always!!! Kelly you have an amazing gift. You write in such a way that draws the reader in, allows him/her to feel exactly what you are trying to get across, and you do it without being condescending. So many days I want to scream. I want people who look at me with disgust and disbelief to feel exactly what it is I feel. Not just every so often or during certain types of weather, but every second of every minute of every day. The name of RA has needed to be changed for some time. I also think that grouping any autoimmune disease in the “arthrits” category is wrong on so many levels. I remember telling family I have RA, and some said, oh yeah, I have arthritis too. My reply, “Will your arthritis deteriorate your joints, organs and cause you to die?” I was very blunt, but I had to use the sensation they felt to get them to understand. I am about to read the article you linked, but had to thank you first. I’ve asked God why I have this. What I have done, if Karma is real, to deserve this. I think many of us have when we first get diagnosed or when reality hits. Part is to find someone like you, who is a wonderful person, advocate and trying to educate so many individuals throughout the world. I haven’t figured out the rest yet, but if that is all He had in mind, I’m satisfied. What are some of our favorite Media misconceptions? Unbelievable article. Brought tears to my eyes. Thanks for posting and for providing such positive feedback to the author and the editor. I have a really good rheumy but to see another rheumy openly advocating, and obviously understanding, the issues we as patients deal with is fantabulous! It really does sound like something you would have written. Great to get his support of the new foundation. Very inspiring article, having suffered from RA for 12 yrs now and I still get (out of the blue) the fever and major flares, this makes me feel that a professional acknowledge this nasty monster. I just want to ask him, can you be my new RA doctor? I feel as if mine has given up lately, he concentrates on everything else but the RA and I only see him for the RA, it does not make sense. Way to go Dr. Adams!!! What a sensational article Kelly and your letter suitably incredible as always. Reading a Rheumatologist like this who truly ‘gets it’ really does give me hope. The sort of hope that is so easily lost at the tougher times. Dr Adams is all the more amazing for speaking to everyone in his writing – meaning those struggling after many years with the disease, the newly diagnosed, families and friend’s who don’t get it (or don’t want to) and those who thought they did. It speaks also to the medical fraternity giving them an opportunity to understand should they choose to. Great article! Long overdue. I’m so glad to see a rheumatologist writing on this topic. I have received such inappropriate responses from people about my psoriatic arthritis, that for the last year I’ve refused to use the term “arthritis” when asked what I have. As I have chronic inflammation in my sacroiliac joints, I can rightfully call what I have “psoriatic spondylitis.” When I use this phrase instead of “arthritis”, I get a totally different response from people. They no longer insist I try the latest arthritis “cure”, or respond by pointing to a bump on their little finger and saying “yes, I have arthritis, too”. We desperately need to educate the public about autoimmune inflammatory diseases, and to remove the term “arthritis” from what they are called. Thanks so much for all the work you do! Well being a newbie to RA……I am trying to absorb all the info I can get….I appreciate any bits of info I can read and learn from , thanks Kelly!!!! Dear Anne, for a newbie, I recommend going through the RA Map and the RA 101 on the menu at the top of the page. And thanks for posting already – welcome. Thank you for sharing this, and ALL that you do. So exciting to see this. Just this morning (before I read this post) I was moved to change my RA page to include the term “Rheumatoid Autoimmune Disease,”. Synchronicity is a beautiful thing. 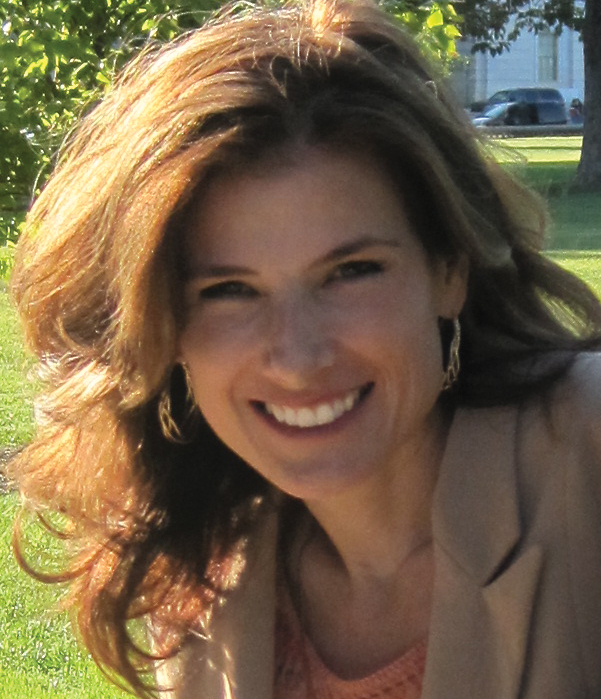 Kelly, you have been such a positive force for beneficially directing awareness and change. To you, and everyone here, keep it rolling! May the days of invisibility, intolerance and isolation be long behind all of us. I have also already begun either telling people that I have Rheumatic/Rheumatoid Autoimmune Disease or just explaining that I have an autoimmune disease in which my joints are being attacked, without giving it a name. Depends on my mood at the time and how well I know the person. I am SOOOOOO tired of hearing “I have arthritis too! My [insert body part] hurts so much when it rains.”…and I have only been dx since May of this year. I can’t imagine how sick of it the rest of you are! Wow. Eloquent, intelligent, empathetic and welcoming…all in one letter. Fantastic, RAD Warrior! I agree with Katie’s comments as well. Great article! I will also start explaining this disease as a rheumatic autoimmune disease that causes the body to attack itself, and not just joints. I like the second paragraph, because it is like being blindsided. Most everyone considers the possibility of getting cancer (my Mom died 2 months after being diagnosed with cancer), but who could imagine anything like RAD. I sure couldn’t. Even my PC (who I will email this article) told me when I was diagnosed with OA in several joints many years ago, “Well, at least it’s not the bad arthritis (RA).” On her behalf–she was devastated when the RA diagnosis came a few years later. I hope everyone can keep the strength and find even the smallest enjoyment in each day. Kelly, Thanks so much for sharing this link with us. I would never have the time to do the research you do since I work full-time and deal with RA as well. I really do appreciate all that you do to keep us informed and I haven’t told you for a while so thanks. It was such an encouraging article. I have even had letters from a “friend” lately saying that diet can cure me and some days I do wonder what I did to cause this even though I know better. It is refreshing to see someone realize that this is part of the disease. Kelly, thank you for once again providing a perfectly articulate voice on behalf of the community. Don’t know where we would be without you – you are a blessing to us all. And I see so many reasons for hope surrounding Dr. Adams’ article – I’m grateful that he so eloquently wrote it, and that The Rheumatologist so wisely chose to publish it. This was such a good article. Brought tears to my eyes and gave me hope in this very dark aspect of RA. Was thrilled to see the article also. However, he did not mention that it could attack other organs (just said “tissues”). Also, maybe not with the real young crowd, but with older folk and docs, I’m not too keen on what the terms rheumatoid or even rheumatic might conjure up. Also with lots of commercials out already using the term “rheumatoid arthritis” with no differentiation, even the younger crowd is going to associate rheumatoid or rheumatic with “arthritis” and still generalize. I do realize putting a completely new name to it would confuse the history/literature etc. But yes, Arthritis needs to be dropped from the name. I’ve done quite a bit of reading on ‘rhematoid’ and ‘rheumatic’ so maybe it’s just what it’s conjuring up in my own mind, but I don’t like those terms either. Yep. I’d just as soon change it to something like SAID. Systemic.Autoimmune.Inflammatory.Disease (slash or dash ‘rheumatic or rheumatoid type). But that’s just too dang much, eh? Or maybe dash – Synovial Type. I could go on and on and wind up repeating so much of what has already been posted about this so instead I’ll keep it short. I have sent a letter to the Editor thanking them for publishing the article. You are awesome my dear, just awesome!!!! Thank you Kelly for posting this and everything else! This article and your response is wonderful. I’ve recently been diagnosed, so I’m currently on information overload, but all of your information has been so helpful and much appreciated! I sent a quick note to the editor as well – Asking them to consider printing your letter to the editor and thanking Dr. Adams. Just had the talk with my rheumatologist about cardiovascular complications, even though my only risk factor is RA. Hell yeah, it’s serious. Um, yeah it is, unfortunately, Laura. Good luck to you. There’s a Tag here on the TagsList for Heart and RA that brings up a list of posts about the topic for anyone who’s curious. I read the article by Dr Adams and your excellent post and they are both right on! I have never heard a Dr describe what actually happened to me. I literally work up one morning with a dozen joints inflamed and swollen, everything went to hell after that. This is definately not OA. And yes, we need a new name. We need to define this as autoimmune disease first and arthritis second. I would suggest that all of the autoimmune types be preceeded with that tag. Autoimmune Rheumatoid Arthritis? Autoimmune Synovial Disease? Maybe we need the doctors/researchers to chime in here. Agree we need rheumatoid and arthritis out of the name. Problem is the words ‘systemic’, ‘synovial’, and ‘autoimmune’ don’t conjure anything up in the listener’s mind and seem to produce more confusion. Then I just say, “like lupus or MS”, and they go, “oh” with a blank look on their face. Amazing…a doctor that not only gets it, he hit the nail on the head. And of course, kudos to you Kelly for finding this and posting for us. Ah, validation…it is truly a wonderful thing. I had to print this. I wanted to hold it in my hands and read it over several times. Then I asked my daughter to read it. She was amazed as well. What I would like to do is print copies and hand out to some family members. But they wouldn’t take the time to read it. Be a waste of time. I am seriously thinking of including a copy with the additional evidence I am sending to the judge for my second appeal on SS Disability. Maybe it would help. On another note, my new Rheum doc called me the other day to see how I am doing. I about fell out of my chair. A nice, caring doctor who seems to know what he is doing. Am I lucky or what? Well, besides getting RA!! VERY glad to hear you have found a caring doc! Good luck w/ the appeal. Went to my primary care today, she is a NP. Just love her!! She has MS so she totally gets it. She put me on Gabapentin and switched out my Hydrocodone for Tramadol just as I requested. I was concerned about the 5oomg of acetaminophen daily. Plus I have read that Tramadol works better for RA pain. Why take a heavy narcotic if something else would work better? If it indeed does work better, than I will ask to lower my pred. And she agreed with me that even if your sed rate is down and you have little swelling, it does not mean your pain level is down. Positive day, have to relish them when they come! This after my new Rheum doc called to check on me…I’m starting to feel loved! Wow, Becky! We love you too and we love THEM with you! Good luck. Thank you Kelly. I have shared this article with two others, who have family members with RA. It was comforting to hear them talk about their husband and mother with so much empathy in their voice. The lady asked me what was the best thing she could do for her husband and I told her just to be supportive. To tell him she was sorry he had so much pain, could she help him with anything. I said that even if there wasn’t anything he wanted help with, the validation alone would keep him from feeling alone in this. Well back in reality today, found out it will take at least a year until I have my disability hearing before a judge. Wow…wonder if I can post like a 1A on the side of an overpass so I can get mail there when I have to move out of my house…Guess I should start looking for big boxes, the kind washers come in, maybe I could string three or four of them together and have a condo!! Won’t have to worry about rain here in Texas. Okay, on the positive side, I will be close to my degree and taking my certification for coding by then. Awesome work Kelly!! High fives all around, I hope some of the medical community join in the good foundation you are laying! What an excellent article, I put it on my facebook also. Thank you for your hard work on these issues. The part that resonated with me was ‘Newly diagnosed RA patients don’t want to have a catastrophic diagnosis like cancer, but they do expect whatever is causing their problem to at least garner some measure of understanding and respect from their family and peers.
. When my disease was at it’s worst I secretly wished it was cancer, because at some point you are finished treating cancer. RA is unrelenting and exhausting. Now I no longer feel that way and realize it is a blessing to not have cancer, but that I thought that at one point helps me remember those dark days and how awful this disease can be. I also think I thought that cancer would be better because people get how difficult it is and they help you out- when I was at the worst I was completely isolated and had no words to describe what I was going through. No one asks cancer patients what it feels like because they know it’s awful. My recent flare has really set me back, but just wanted to say once again-Thank you for all you are and continue to do to help. What a great article – every aspect of RA is so well articulated (no pun intended)by Dr. Adams. I have printed out a copy to refer to and will use quotes from it to answer questions from friends/family. I may make a copy for my Rheumy, too, in case he hasn’t seen it. And thank you, Kelly, for the tireless effort that you expend every day to get this serious disease the recognition it needs and deserves. Words cannot express the heartfelt appreciation held for your continuing quest in our fight against this disease, and to have Dr. Adams on the right side understanding our plight is such good news. Thank you both for being there. We (the patients) are renaming it already. So many patients have begun to use “Rheumatoid Autoimmune Disease” or RAD as suggested here over a year ago and it will be hard to stop I believe. Your point is RIGHT ON!! “Arthritis is only a symptom” is my new mantra. I will definitely be calling it RAD from now on. I am also making copies of Dr. Adams’ article to pass on to relatives. It seems like even the most well-intentioned among them don’t really “get it”. Maybe this will help.